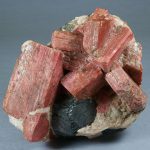 In 1810, Dr. Archibald Bruce, a prominent New York physician and mineralogist, published a description of a Franklin, New Jersey mineral then new to science: zincite. This paper, one of the first mineralogical articles to be published in our nation, which was then barely 34 years old, marked the formal beginning of mineralogical research at Franklin and Sterling Hill. 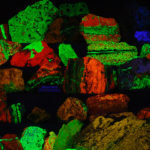 Now, more than two centuries and 1,100 publications later, research on the local minerals is still continuing. Much remains to be discovered, and many mysteries beckon the inquisitive. 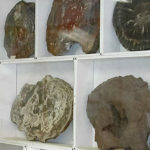 The Franklin Mineral Museum works closely with the scientific community to inspire and foster research on the local minerals and the geologic environments in which they occur. We especially encourage university students to pursue research here, from the senior undergraduate thesis level to Ph.D. dissertations. Anyone interested in such research is encouraged to contact Dr. Earl R. Verbeek, FMM curator, at 973-827-6671 to discuss possible avenues of approach.